Big Daddy Weave is one of the top artists in Christian music. They are one of the genre’s biggest headlining artists, the second most played artist at Christian AC-Monitored radio in 2014 and the recipient of multiple industry awards and nominations, including Dove Awards, K-LOVE Fan Awards, Billboard Music Awards and ASCAP Awards. 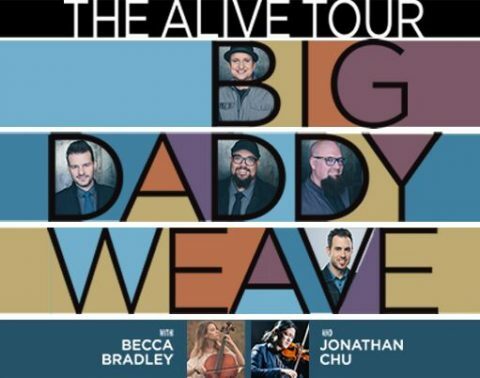 Between 2012 and 2015, Big Daddy Weave has achieved five straight No. 1 singles at radio, the most recent being My Story from the album Beautiful Offerings. Big Daddy Weave has career album sales of more than one million units.